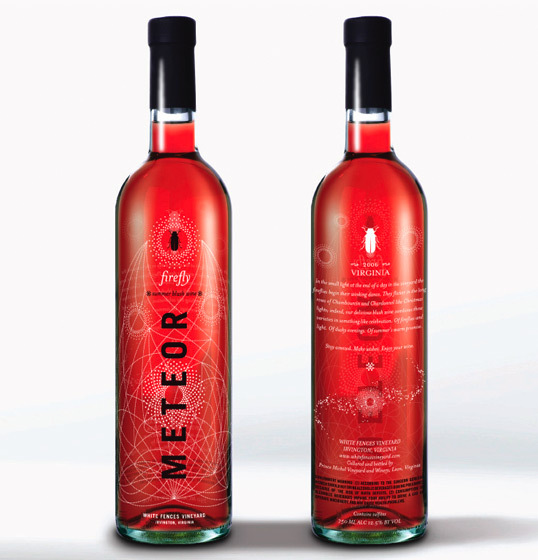 Beautiful astrologically inspired designs from for Meteor Wines. The rich color of the wines acts as a nice backdrop for the packaging. 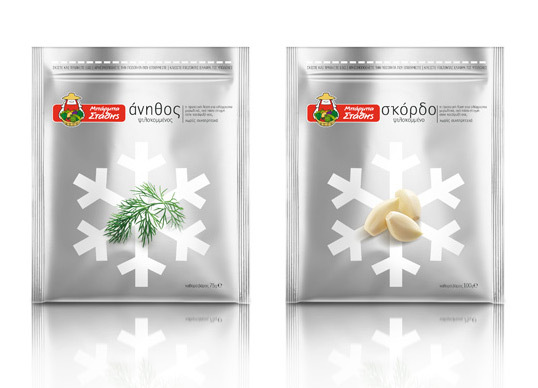 Nice clean work from Mouse Graphics for Uncle Statis Frozen Herbs. The pairing of product photography, a simple infographic styled icon and foil pouch, is a great way to visually illustrate exactly what’s inside. Traidcraft was established in 1979 as a response to poverty, and are the UK’s leading fair trade organization. 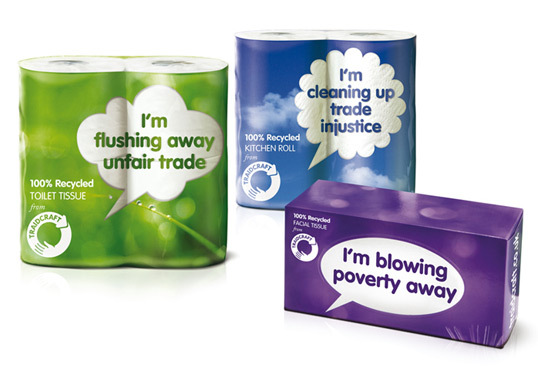 The speech bubbles on their tissue range are an excellent way to communicate directly with consumers, letting them know exactly how their purchase is helping a greater cause. 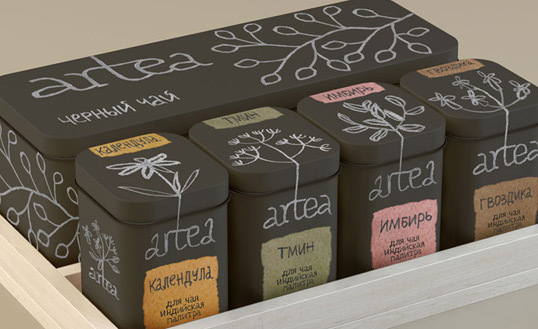 Masha sent us this great project that she produced while studying at British Higher School of Arts and Design in Moscow. 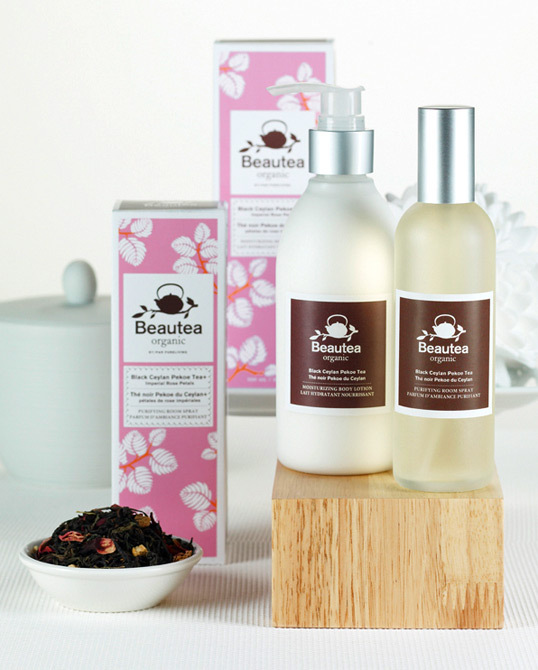 “Artea consists of a basis – black or green teas – and additional natural ingredients. The consumer has the choice to make the tea they want which coincides with their mood and situation. They can experiment, control and change the tea to their taste. Beautiful work from Vancouver based Hangar 18. The Pink Door Paper Company was created by Sean & Renuka Carter as an outlet to merge his passion for design with her love of personal expression. 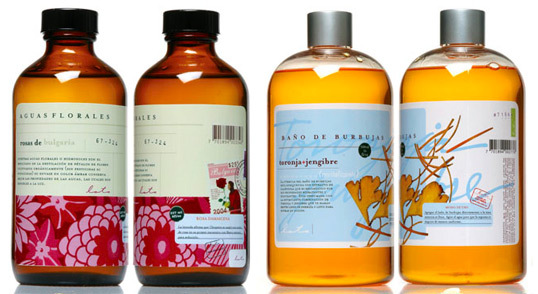 Their packaging has garnered many international awards from highly respected design institutions such as Communication Arts, Graphis, Applied Arts, and Graphex. 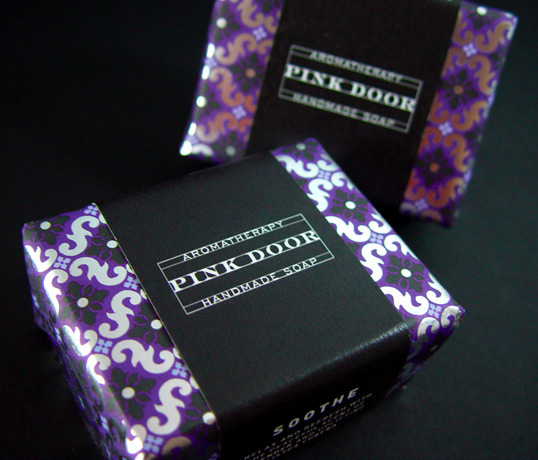 Every product is designed, produced, printed and hand packaged locally. 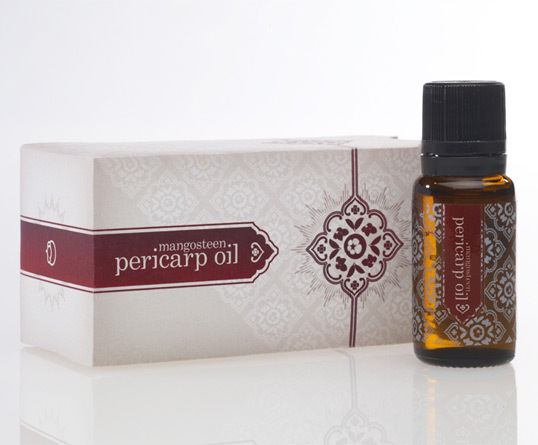 They print with VOC free inks on paper stock which is acid free, archival and made from 30% post-consumer waste by a family owned printer that is FSC certified. 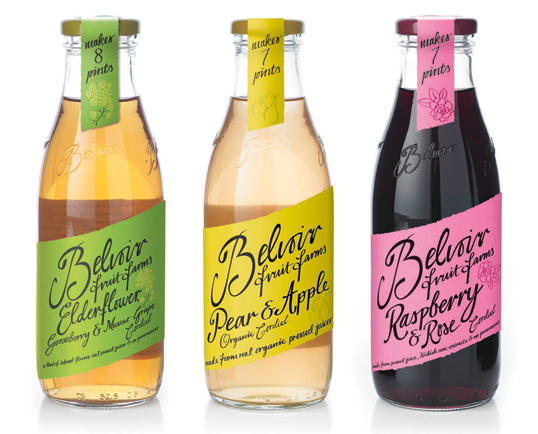 Many thanks to Big Fish Design for sending in this beautiful packaging for Belvoir Fruit Farms. 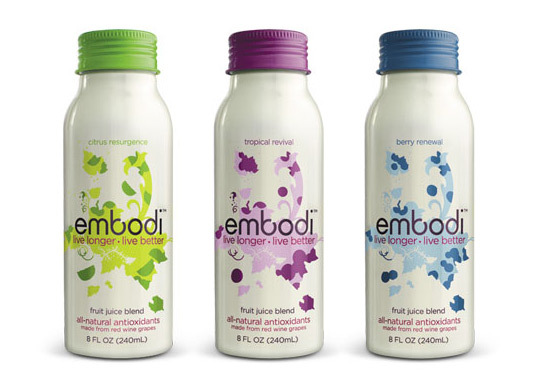 We love the organic typography and the slanted, colourful labels that help differentiate the brand from its competitors. Vanessa sent us these lovely bottles that she stumbled upon a while ago, and is hoping that one of our readers can help her identify them. We’d also love to know, so If you have any information on this work please let us know in the comments.